The waves on “our” lake don’t usually roll very high – its waters ripple gently and its colours are as soft as the water itself. In fact, it was the lake that taught us to love clear lines and mellow nuances. We bring good taste to your plate: regional delicacies from the Carinthian Alpine-Adriatic cuisine, prepared for you as a feast for the eyes and the palate. 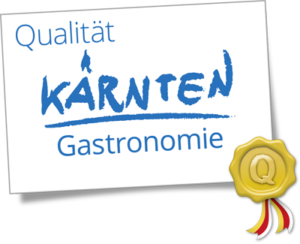 GOOD SERVICE – AT ALL TIMES: Our waiting staff is whole-heartedly committed to the Badehaus and its guests and has your satisfaction and pleasure at heart. We are happy to arrange celebrations for you for up to 20 persons!